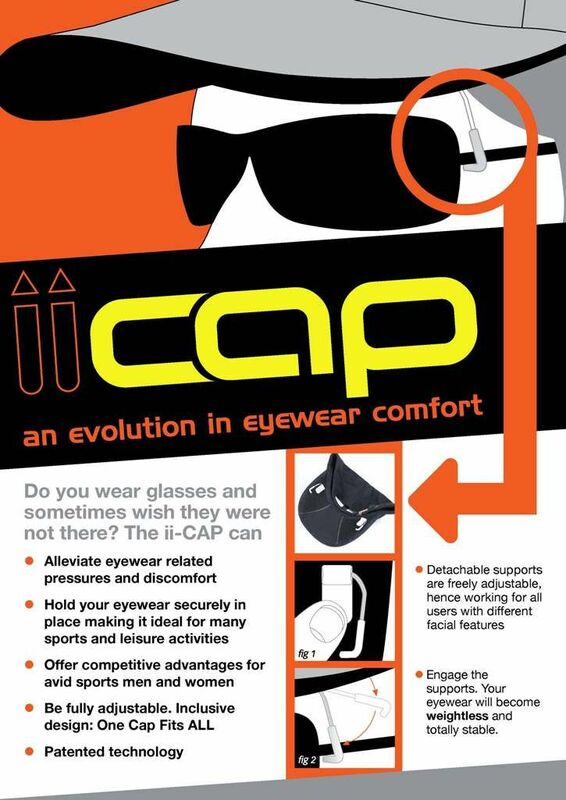 I invented the iiCap to provide me greater comfort when I am wearing my spectacles over an extended period. How does it do it? When I put on the iiCap, there is a support system I could pull down from beneath the peak of the cap. The pair of support systems could then be used to subtlety support the weight of the sunglasses or usually heavier prescription spectacles. Furthermore, the way it works means it could also makes the spectacles more stable for many different types of active or leisure activities. 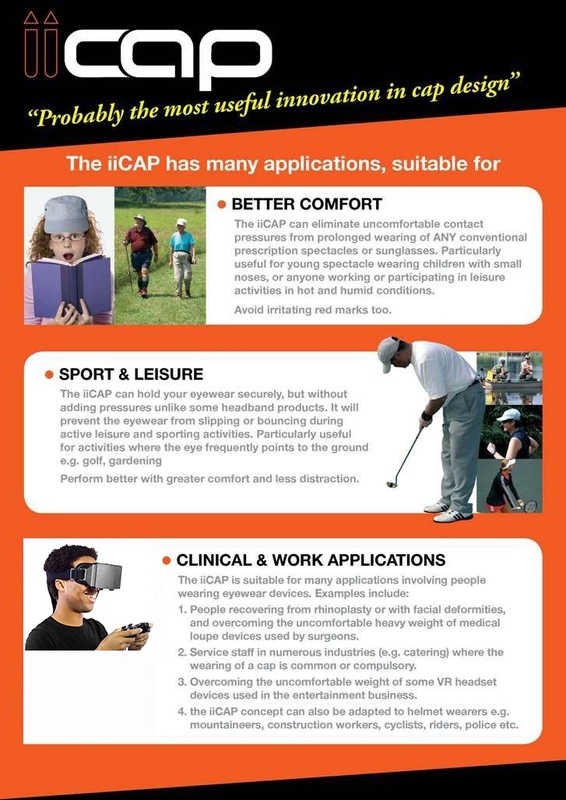 The first version of the iiCap was developed and marketed in 2010. A new design was recently completed in December 2015 where the essential supporting arms are now made of soft and grippy silicon. Currently there is only one cap style available, and 5 different colours (Black, Grey, Pink, Red and White) for the spectacles supporting arms. They are available for £15 each, inclusive of postage and packing. Buy the iiCap in our online store.